A video, created by Tech students Fredrick Grimm and Patrick Caudil, showing corgis frolicking around Tech campus has gone viral, accumulating over 500,000 views on YouTube. 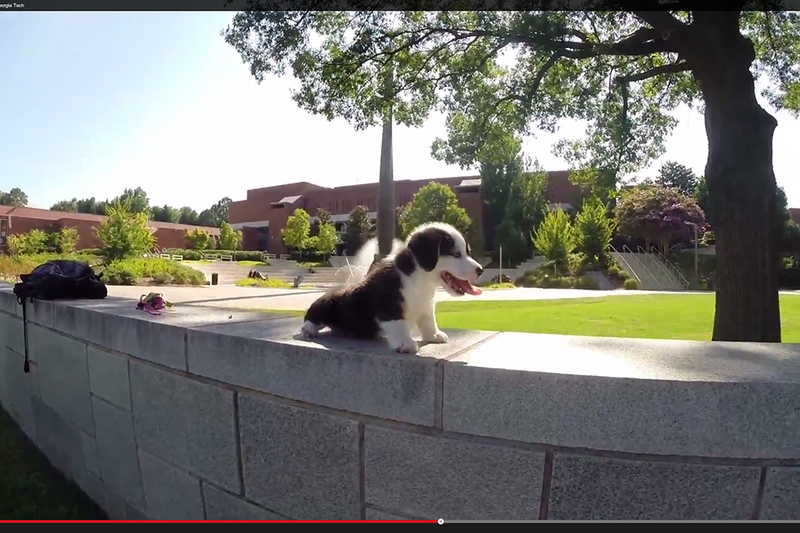 According to Grimm, the video was the spontaneous result of the puppies’ visit to campus. “My family had corgi puppies kind of at the beginning of summer, and I made a few trips to see them at home. But all of my friends who are in Atlanta really wanted to see them too,” Grimm said. Grimm’s parents agreed to make the trip from nearby North Augusta, S.C., with the corgis in tow. The result of the video was a minor viral sensation. The video was reported by Time.com, Huffington Post and even KCTV Kansas City. The clip will also be featured in an upcoming segment of Good Morning America. “We had no idea it would take off like it did or it would be that popular. I figured it would cheer some people up during finals week, so that’s [why] I released it when I did,” Grimm said. Perhaps the most iconic part of the video was shots of the corgi puppies sleeping in baking pans. According to Grimm, this was also a happy accident. When asked whether they got in trouble with Tech, Grimm laughed and commented that GTPD just came over to them and played with the puppies. They then continued their round.